This guide will teach you the basic functions that you have under the 'Manager' access level in Deputy. Welcome to Deputy! In this article, we’ll show you a general overview of Deputy, going through each of the features that you will encounter while using Deputy. This will serve as a general guide, and each heading will come with a link that you can follow for a more detailed explanation for each feature. 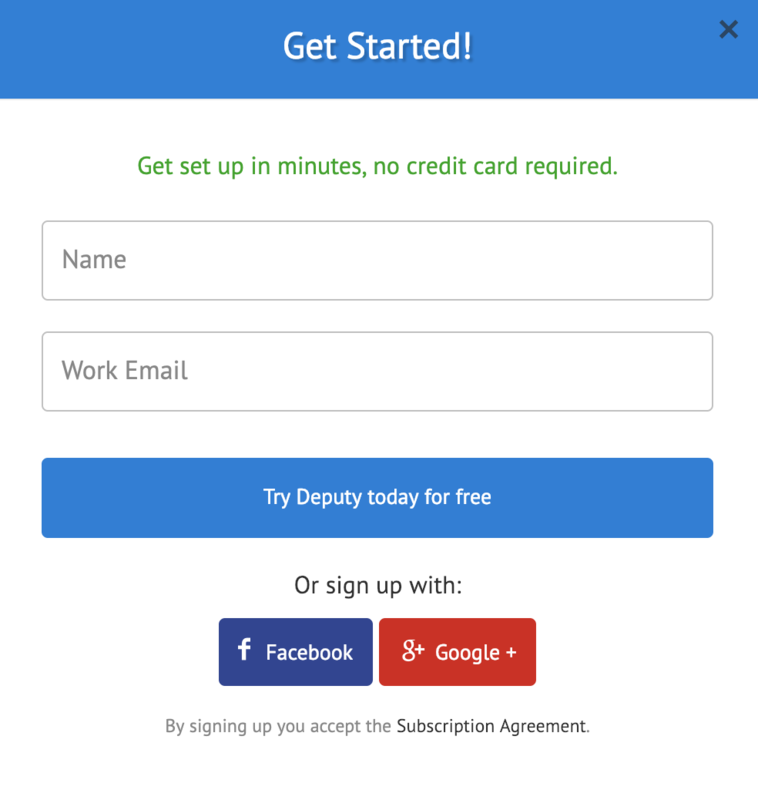 To begin, enter your details in the provided boxes, then click the ‘Try Deputy for Free’ button on the Deputy.com homepage, as seen above. 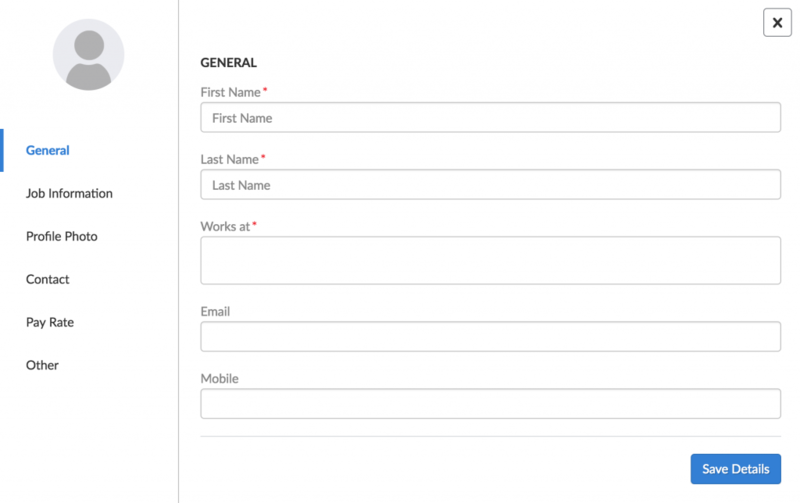 Enter your name and email address in the boxes as shown to begin the free trial. Alternatively, you can use your Facebook or Google+ details to create a new Deputy account. You will receive the following email. This welcome email contains a temporary password and a Deputy Kiosk PIN, both of which can be changed later on. Now that we’ve logged in, the onboarding wizard will pop up. Here you can follow the prompts to set your business up, or you can select 'Skip and use demo account' if you want to have a play around with the system. Locations are the ways to sort and identify your businesses by their geographical location. Locations are necessary for employees that are starting their shift via the smartphone application. To change your business location, click on ‘Locations’ in the top navigation bar. If you have already set up a business via the sign-up process, you can click ‘Edit Settings’ to change the location. If not, click the ‘Add Location’ button. From there, you will be asked to give a name to the location, as well as the address and the location starting day. This will help in terms of location settings and clocking in via the Deputy smartphone app. 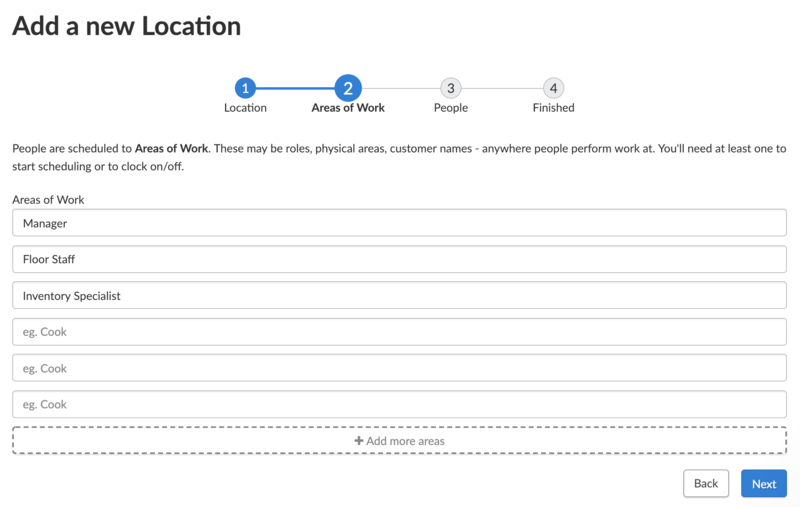 Once you have entered in this data, you will need to enter in the different areas of the location in which employees can work. In the example, The Spire has the 'Hatchery', 'Support' and 'Repairs' Areas, all of which was, or can be, created during the setup process. Even though they are the same rules, you will still need to input each one manually. Now we can add our employees into the system. It’s possible that one employee can work at multiple locations, so if they are already into the system, there is no need to enter their names here if they’ve been added in an earlier step. This also helps prevent duplicate employee entries in the system. In this next page, you can manually enter your employee's’ names. Optionally, you can enter their mobile number and email address, this is for Deputy email invite purposes. 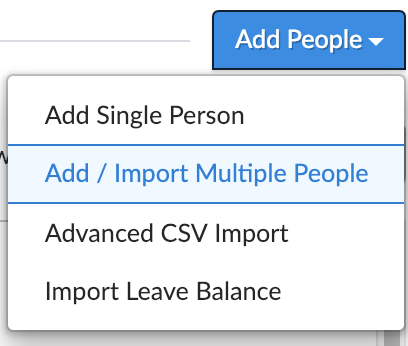 If you need more spaces to add extra employees, simply click the ‘Add More’ button. After that, the system will load the new data into Deputy and you’ll be redirected to the Locations tab with the new location in place. Entering the business location as accurately as possible will ensure that not only will the locations page be easy to navigate, but will make sure that you are able to use mobile clock-ins. If you have implemented a payroll system such as Xero, Quickbooks, Netsuite, Gusto, MYOB, ADP or WageEasy, you can import your payroll file into Deputy to add people. If you have your employees in a simple Microsoft Excel file, you can also add employees via Excel spreadsheet. For a downloadable template, click here. Please remember to remove the sample employee, and to save/download the file as a CSV file. Now select which location that these imported people will work in, click the ‘Import or Upload a file’ drop down box, and scroll down to ‘Excel’. 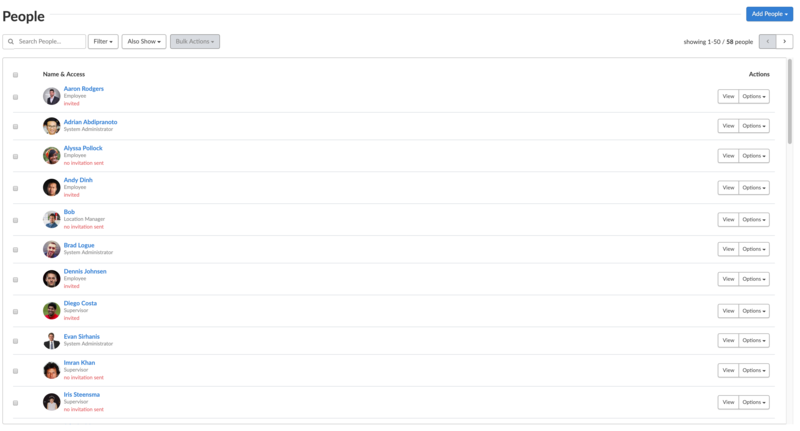 A box will appear, which shows a list of steps to follow if you have not created the spreadsheet yet. This box also has a clickable link that allows you to download a spreadsheet template that you can fill in. If you’ve already completed the spreadsheet, simply ignore the instructions. Click ‘Browse’ and locate the CSV file on your computer. When it says, ‘[filename].csv is ready to upload, click ‘Upload File’. Now that the fields are auto-filled, double check that all details are correct, in the rare event of errors. If everything is correct, click Add People and they will be added to Deputy. 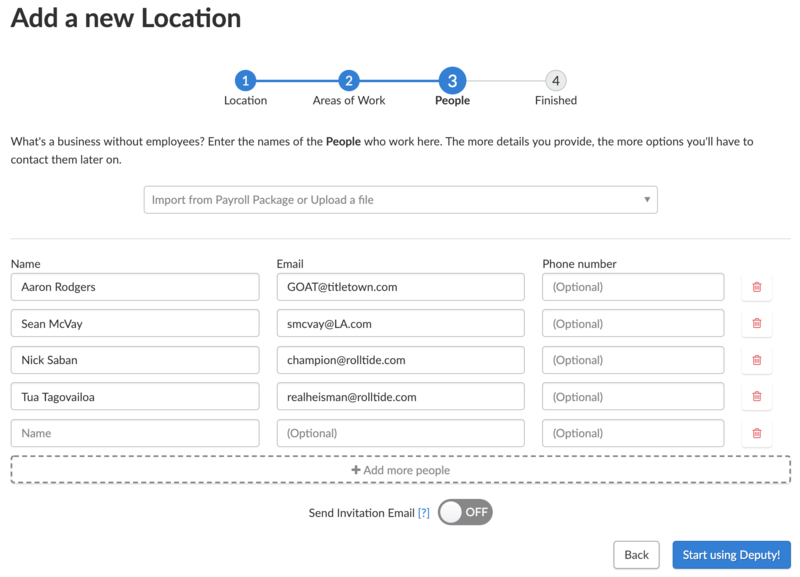 When importing employees via the ‘Add People’ option, if you include employee emails in the employee details, you can select the option to send an invitation email to be sent to everyone on the list. 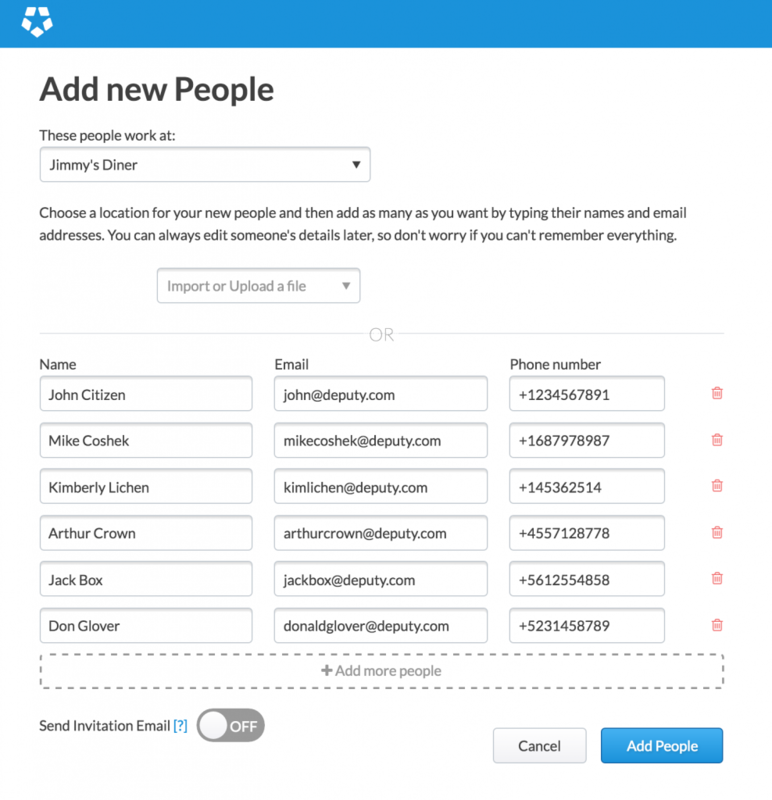 You can also send bulk invites or send select people invites via the People tab. Either select the individuals that you want to send the invites to or select the checkbox at the top next to ‘Name & Access’, click the ‘Bulk Actions’ drop down box and select ‘Send Invitation’. Employees will receive an email from Deputy to make an account in the system. This will include a temporary Deputy Kiosk PIN and a link to create an account with Deputy. When they click the link, they’ll be invited to create an account with Deputy. They simply need to enter their details and create a password. Optionally, they can include their mobile number as well. This will allow them to receive shift notifications via SMS (if the system administrator enables SMS notifications when publishing shifts). The Navigation bar is the simple-to-use way to get to where you want to go in Deputy. The Navigation bar has eight different options, a ‘Help’ drop menu, a notifications icon and your name, which allows easy access to your profile. We’ll run through what you can do in each listed page. In the Me tab, you will find the current week divided into days. These will inform the employee of any shifts that you are scheduled on throughout the week, as well as any upcoming scheduled shifts in the future. From this screen, you can also start and end your current shift and start and end your break, as well a Request Time Off button. 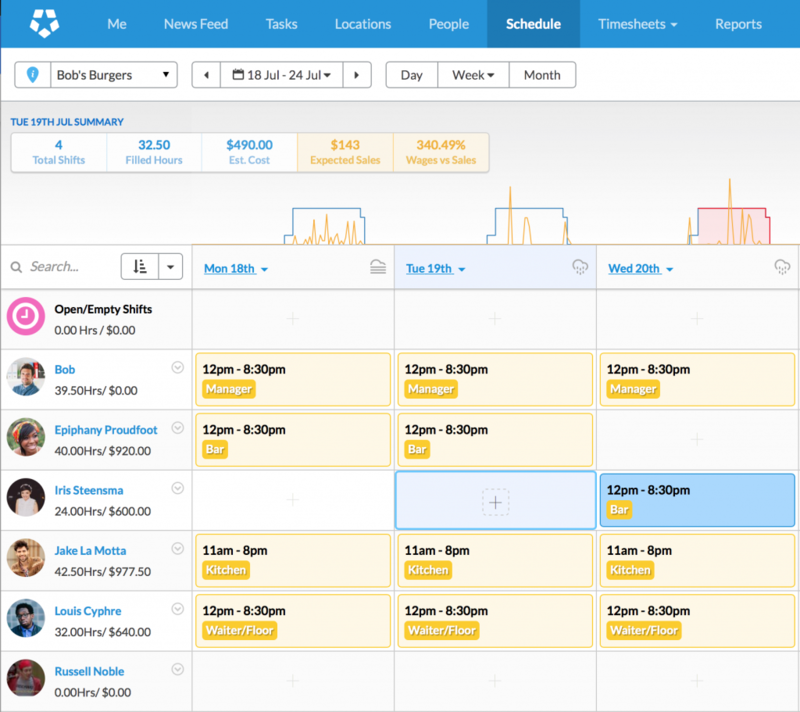 A summary of your total weekly hours can be found underneath the weekly view. The Dashboard gives you an overview of items that need to be actioned. 'Needs Attention' is based off weekly items, 'Needs Approval' are items that need to be actioned, while 'What's Happening?' is generally an overview of the current day, including late employees, employees on leave and employees who have a birthday on that day. For more information about the Dashboard, check out our help article. 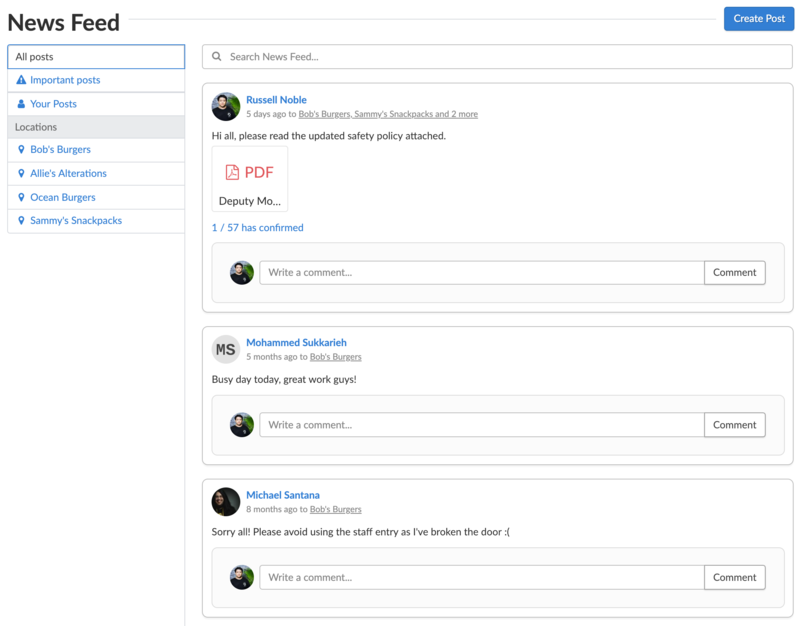 News Feed is a social media-like function that allows you to post messages to your organisation. This is an effective form of large scale communication with your staff. From here, you can choose to send posts to all locations, specific locations or even specific employees. News Feed posts can contain images files or PDFs. If it’s an urgent message, you can set it up so that the employees can confirm that they have read the message. From the Tasks page, you can allocate tasks to yourself and other staff. These can be completed by ticking the box next to the task name in Your Tasks. 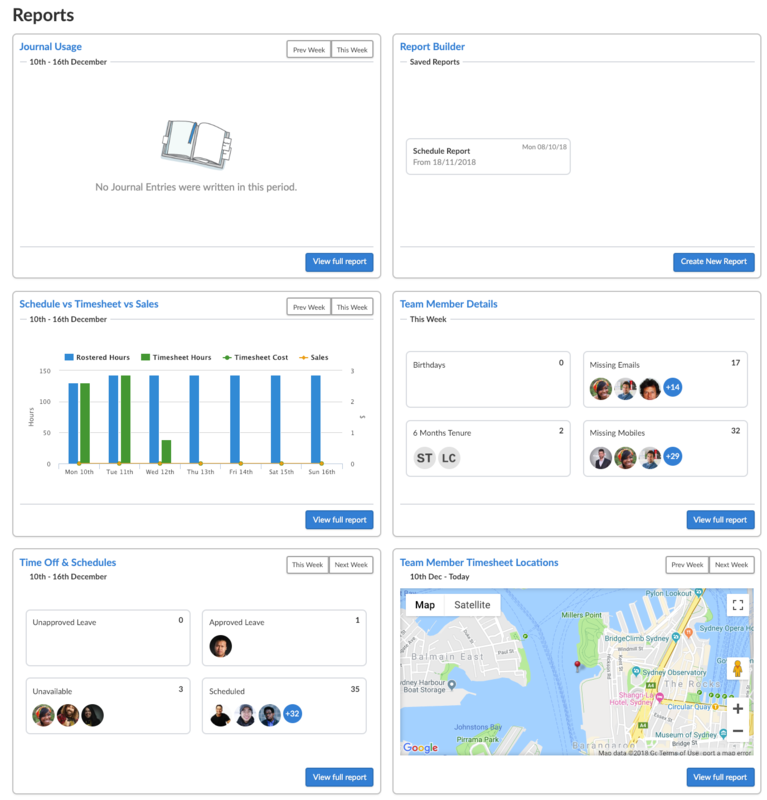 Tasks allow you to organise your staff within an area. These are useful when assigning work to individual employees, and can be tracked simply by clicking the checkbox upon completion. These can be given a due date or can be a general task that can be completed at any time. While Recurring Tasks aren't an official feature of Deputy, we offer a workaround method. Before you can set tasks to recur in Deputy, you'll first need to create them. To do this, you'll need to go to a specific domain by adding this to your URL: /exec/hr/task/task_config. If your URL reads as charliescafe.au.deputy.com, the full URL will be charliescafe.au.deputy.com/exec/hr/task/task_config. On this screen, please first select the location for the tasks in the top left corner. Once you have done this, please select a department (rostering area) from the list on the left, so that it appears highlighted in blue. Next, in the center column please click "Add or Import Task Group", which will display a dropdown with those options. If you have not yet created recurring tasks, please click "Add Local Task Group". If you have, you may click "Import Task Group" which will allow you to use any of your pre­existing task groups. For the purpose of this guide we'll assume you're creating a new task group. After creating a new task group, you'll need to populate it with tasks for the department. There are a few options when creating a task,with each unique type affecting how the task can be actioned by employees. Tasks with a type of ‘information’ only show up as text with no interaction available, tasks marked as ‘checkbox ’ need to be ticked off when they are completed and ‘recurring ’ tasks are tasks that should be completed multiple times per shift. To create a new task, click "Add or Import a Task" and select "Add a Task". When creating the task, you will be asked to assign it a name, description, whether it is currently active or inactive, it's schedule (when it occurs), and whether the task should repeat until it is completed. You will also be asked to assign a reporting type as explained above. When setting the schedule, you can set a day or days on which it should occur, as well as a specific time. Should none of the preset entries match your needs, you may create a new schedule by clicking "Create New Schedule" at the bottom of the list of schedules. After you are done please click "Save" to save the task. The task will now continue to recur according to the schedule you set. 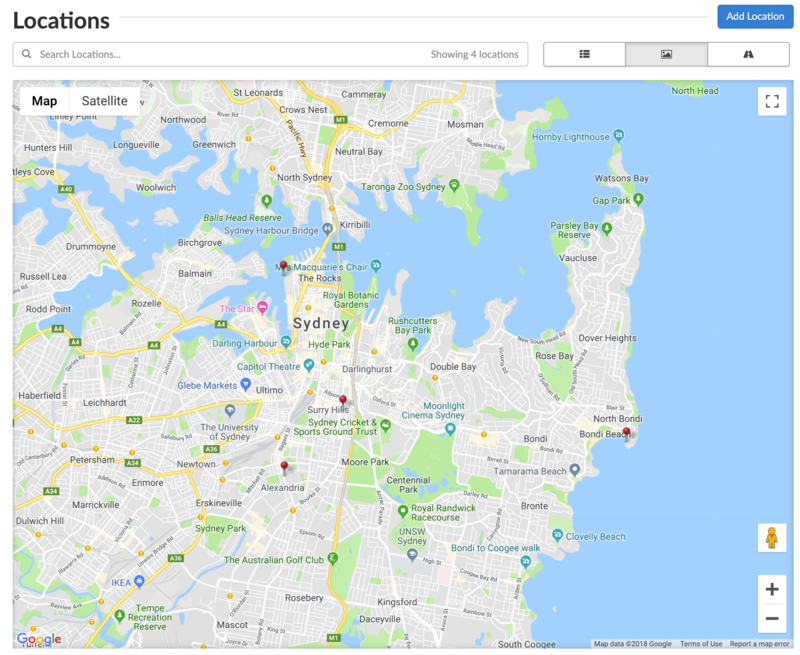 The Locations page gives you a quick overview of the different locations in which the business operates in. 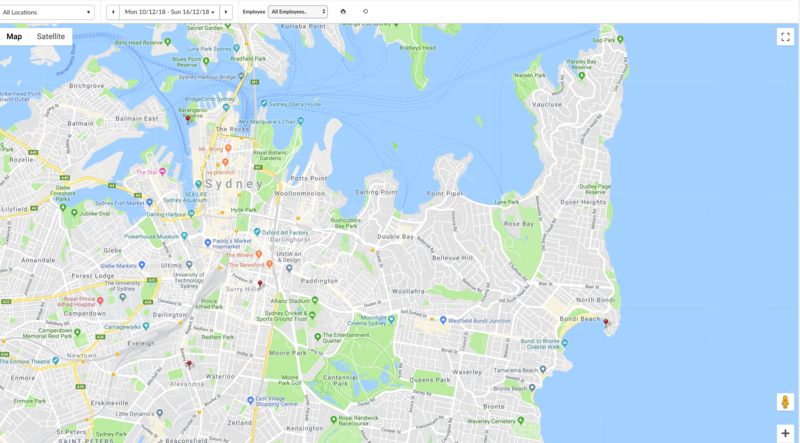 You can view these locations in list view, or on a map. From this page, you can also view which locations currently has employees working, or if any location has any no-shows or late arrivals. The Swimlane view provides snapshots about different locations. If you require certain areas to have specifically trained employees, you can attach training modules to different areas, for example, you can schedule employees to the kitchen provided they’ve completed their cook training. To do this, click ‘Edit Settings’ next to the location you want to edit. Now, go to the ‘Areas’ tab, and then ‘Edit’ on the area you want to add training. Then type in the name of the training modules in the ‘Training’ box. 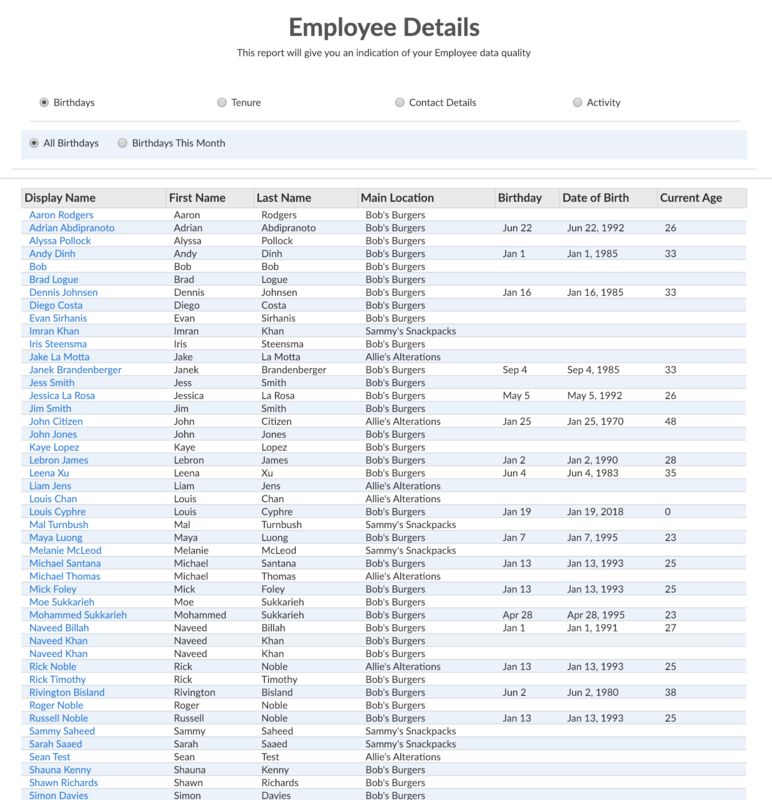 The People page gives you a complete list of every employee, as well as their Access Level. From here you can view each person’s profile and details. You can also use this page to view and approve leave requests, change access levels and adjust stress profiles. There are a few ways to adding employees to your Deputy network. You can find a guide to Adding People Efficiently above. To add individual people, click the ‘Add People’ button. A drop down menu will appear, where the option to ‘Add a single person’ will appear. When you click this button, a section will appear on the right side. Fill in as many details for this employee as possible, and click ‘Save’ at the bottom when you are finished. 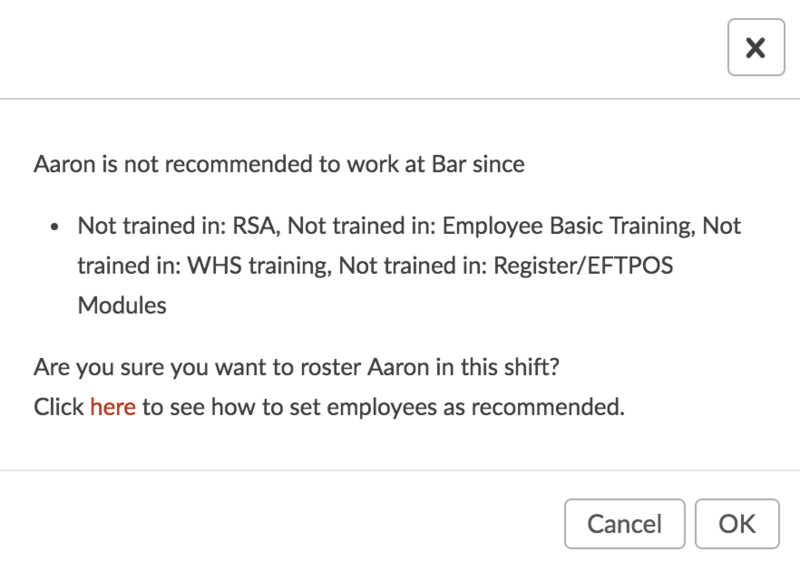 Filters allow you to display employees based on a specific set of criteria. This is helpful if you want to bulk update a specific group of employees, for example, setting the pay rate of the employees at a specific store. Deputy adds criteria to employees to ensure that they are the best fit for the shift. If your workplace needs specific training to work in different areas, simply edit the employee (next to their name, click ‘Options’ and then ‘Edit’. 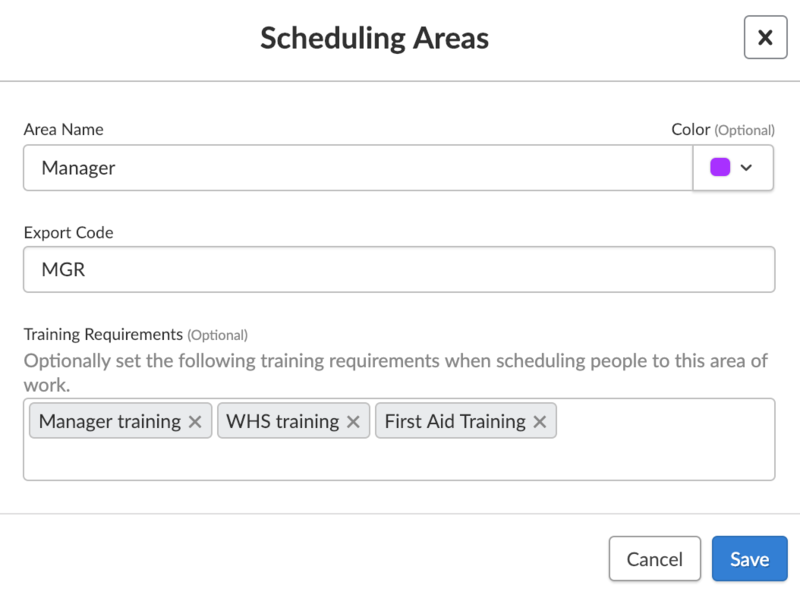 Scroll to training and type the training module that an employee has to complete before they work in that area. Some employees may have contractual agreements that allow them to work specific hours. 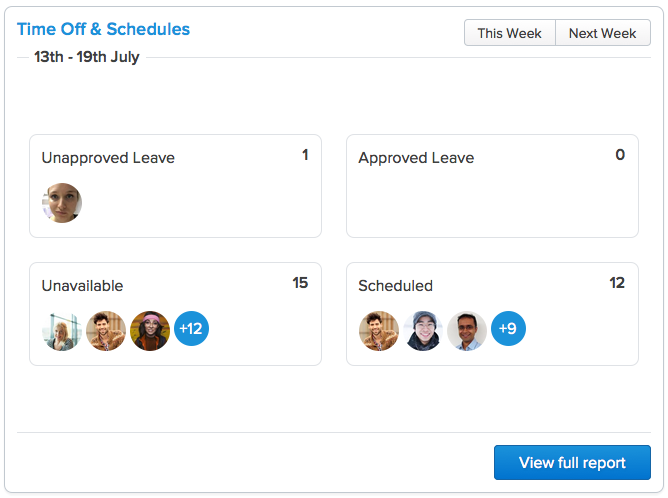 ‘Stress Profile’ allows you to ensure that the people you are scheduling into a shift do not exceed the agreed hours. To change these, you simply have to edit the employee, scroll down to ‘Stress Profile’ and click the appropriate stress profile. Access Levels control the what some employees can and can’t do. There are four different Access Levels; Employee, Supervisor, Location Manager and System Administrator. Here’s a quick overview of what each Access Level can do. To change the Access Levels for a specific employee, click on Options next to the employee names. In the drop-down menu that appears, click Edit. In the Job Information section, click the box next to Access Level and the four different Access Levels will appear. Select the appropriate access level. Make sure you click Save at the bottom when you are done. 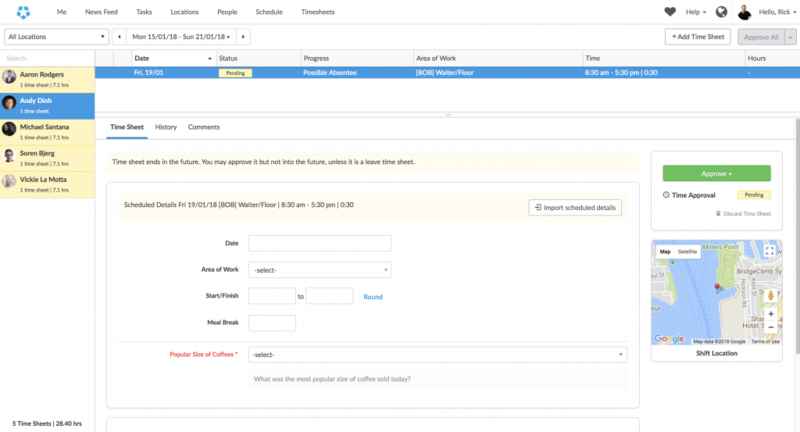 The Scheduling tab will take you to Deputy’s Scheduling features. The top will display the location selected. From here you can change the location that is being viewed, change the schedule to a Daily, Weekly or Monthly view. To the right, you are given the options to Copy Shifts, display Stats, Schedule options (Delete All Shifts, Enter Sales Budget etc), and a button to publish the shifts, which will result in an SMS, email and push notification to be sent to the specified employees if you wish to do so. One of the things we’re proud of at Deputy is the innovative ideas we bring to workplace scheduling. We’ve made it easy to not just schedule your employees but to ensure that you’ve got the best possible team on the floor, while still keeping an eye out on the business side of things. There are two main views when it comes to scheduling. 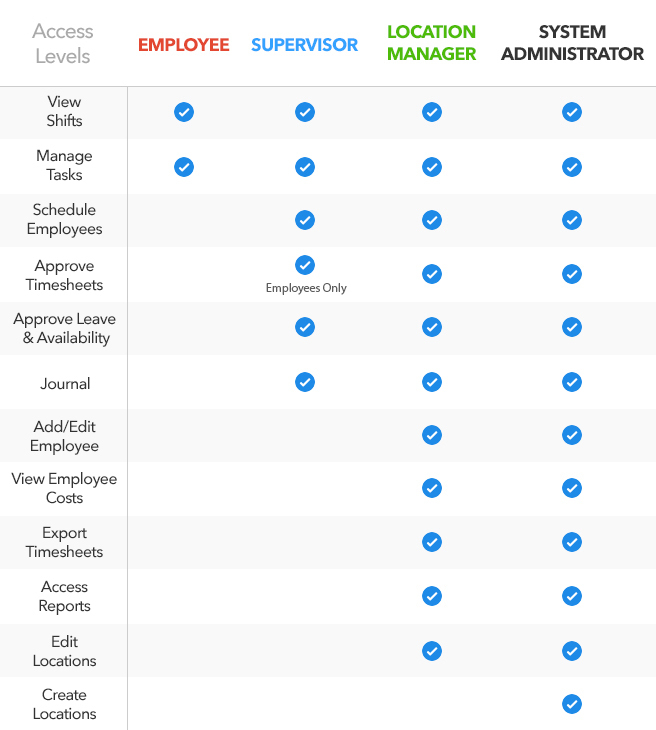 Weekly: View by Areas and Weekly: View by Employees. View by Areas is useful if you need to ensure that every area in a location is filled and being attended to. View by Employees is an easier way to see the week as a whole and to see whether shifts are being distributed evenly, or by the correct stress profile. To change the between the views, click the ‘Weekly’ drop down box and select the one best for you. There are also Daily and Monthly views available. There are a number of ways to fill in a shift. This can only be done while in the ‘View by Areas’ option. Simply grab the employee from the left-side of the screen and drag their name into the area in which you wish for them to work. They’ll instantly be placed into the shift. To change the details of the shift, simply click their name on the Schedule sheet and a box will pop up. 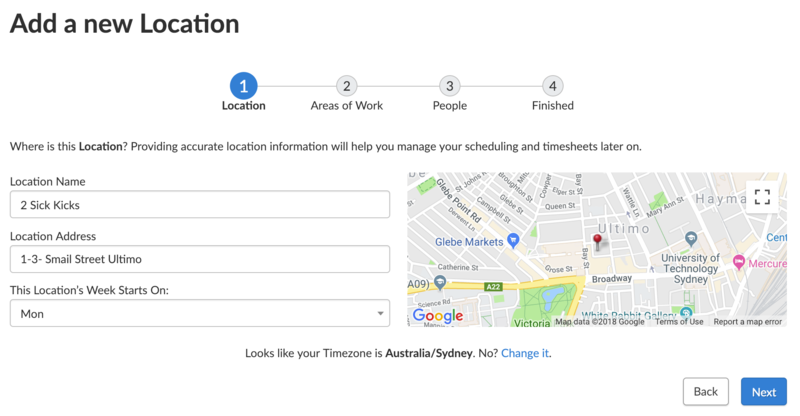 From here, you can change the employee working the shift, start and finish times, the length of the break and the area in which they’re working. You can also add notes to the shift. 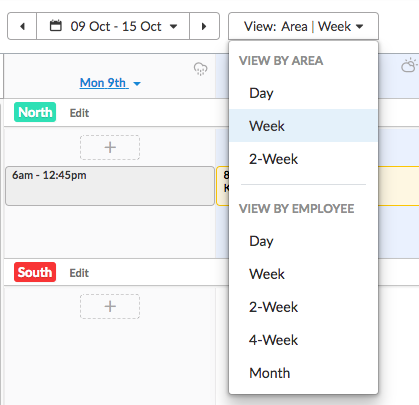 When using the ‘View by Employees’ option, you can simply click the + icon in the desired date, in the employee’s corresponding row. This will bring up a similar pop-up box to the drag-and-drop option, where you can change the details of the shift. 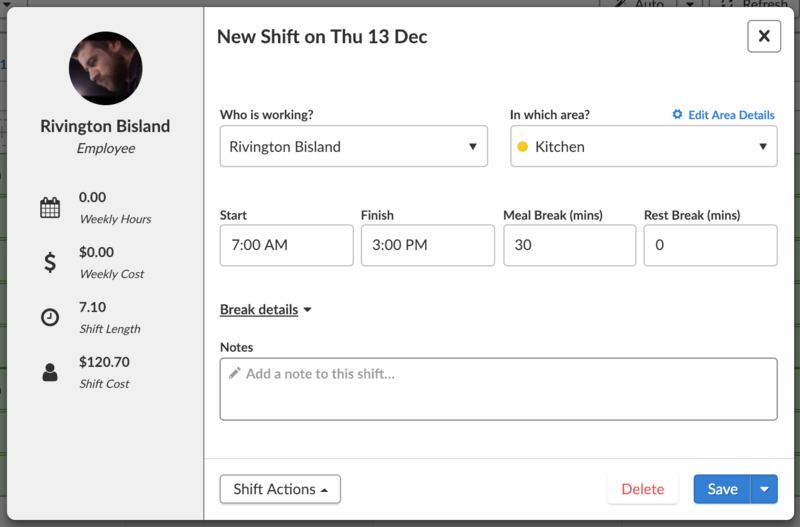 We've added a new feature which will allow you to fill in an entire schedule of empty shifts without having to do fill each empty shift manually. To do this, simply create a weekly template of empty shifts. Now click 'Options' in the top right-hand corner, then click 'Auto Fill Empty Shifts'. You will then be asked to select a number of preferences, which will affect the auto-fill process. Click here to see our Auto Fill help article. If you have any set schedules, you can save them as a Schedule Template. You can read our help guide for Schedule Templates here. Publishing shifts is simple. A yellow button will appear in the top right of the Scheduling page that will tell you how many shifts on your sheet are unpublished. When you click this button, there a pop-up box will appear where you will go through three steps before publishing your shift. Yellow shifts are unpublished, while green shifts have been published. Deputy uses a variety of ways to ensure that the best person is being scheduled to a shift. One of these is training. These are criteria that employees need to fit before they can work in certain areas. If you attempt to schedule an employee that does not have the required training, you will receive a warning, asking if you want to proceed. To learn more about Training Requirements, click here for the help article. 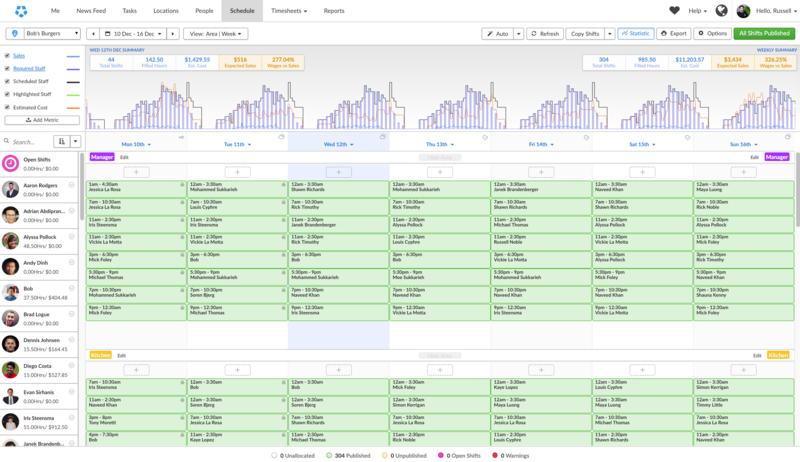 The Scheduling page features a number of options at the top to allow you to view different aspects of the Scheduling page. 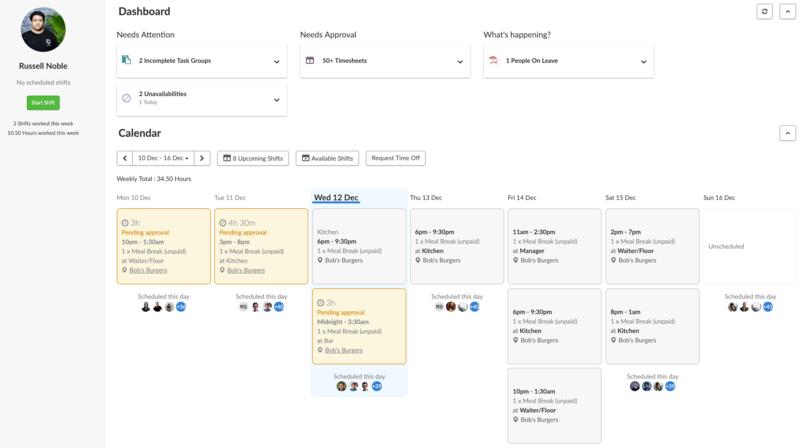 The top of the page contains the bulk of the scheduling features. From the top bar, you can schedule view. With the blue location icon, you can change which location you are viewing. The button containing dates shows the date range that you are viewing. To the right of that, you can change between a Daily, Weekly and Monthly view. On the right side, you have options to copy shifts to different dates, a button to view cost statistics, shift options and the shift publishing button. The figures at the top will show a range of different financial statistics. These include a monthly and weekly summary, showing total shifts, wages vs. sales, and expected sales among other stats. The left side will display a list of your employees, as well as some information about them, including the number of hours they are working and their cost (if they are paid via rate and not salary). The bottom includes a quick button to ‘Add New Employee’, information about published and unpublished shifts, and the ‘Help Bubble’, where you can access the Deputy Live Chat. 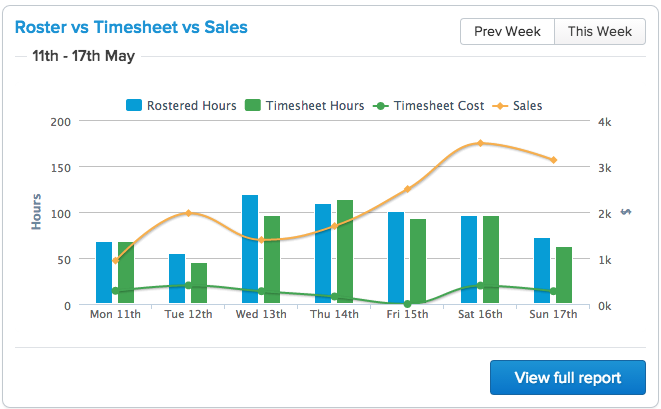 When your staff start/end shifts, Deputy will automatically generate timesheets. Once generated they must be approved, either manually or automatically, for your staff to be paid. To approve a timesheet, please click one of your employees on the list to the left. The page will then display a list of unapproved timesheets for each of the employee's shifts. You can edit the beginning, end and break, as well as make a journal entry for the shift. You may also import the details directly from the roster, overriding the shift, by clicking "Import Rostered Details". After you are finished with the timesheet, please click "Approve", below the fields. Please be aware that your employees may also edit their timesheets, pending your approval. 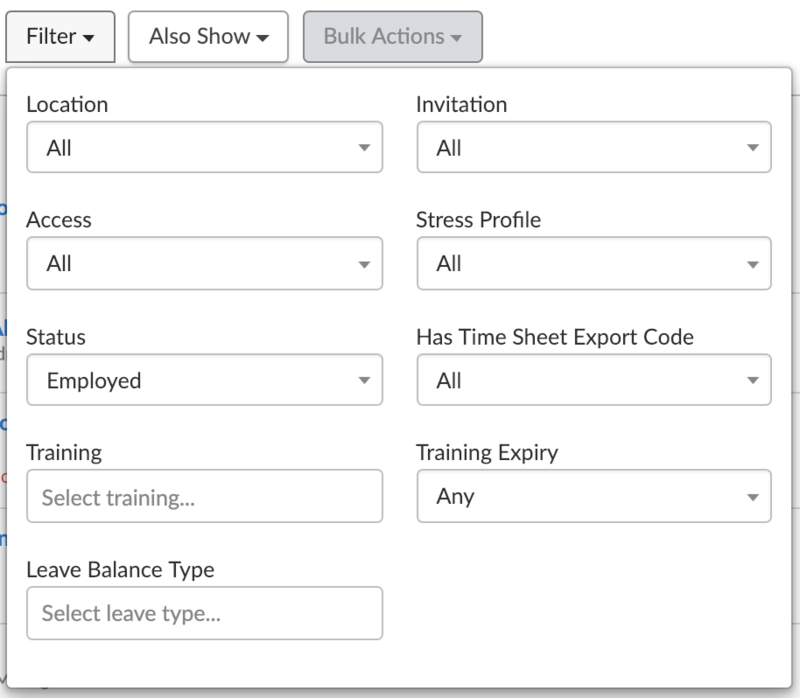 From the Timesheet drop-down menu in the Navigation bar, you will also see the option to "Export Timesheets". The following screen will show a number of details, including a pay summary and employee breakdown. To export these timesheets, select the employee timesheets you want to export from the list on the left side, then click the blue ‘Export Selected Items’ button under the Item Summary. From here, you are given a large number of payroll applications to export your timesheet to. Simply select the appropriate payroll application and click ‘Export’. From the Reports page, you can track many important details regarding your staff's performance, including their availability, rostered hours, journal history and personal details. Note that at the top of each report is a Printer icon, in case you would prefer to have physical copies for your records. 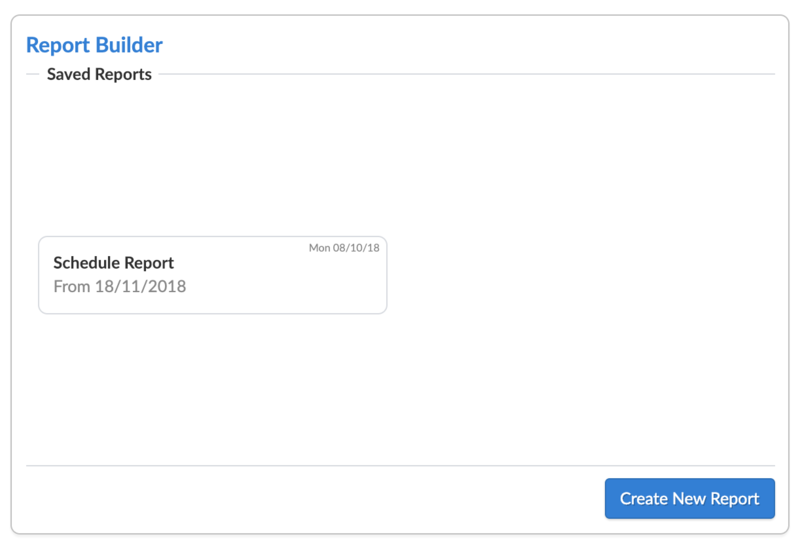 The Report Builder is a powerful tool, allowing you to create and generate reports using any piece of data available in Deputy. https://www.deputy.com/help/custom-report-builder/For a more extensive look into the Report Builder, check out our help guide. The Employee Details report shows basic information about each employee, including work locations, birthdays, age, tenure, contact details and activity. Journals are entered when approving employee timesheets. This can give you an overview on some of your more outstanding employees in case of some well-deserved recognition. It can also be used to see some areas of improvement. This report gives you a relatively comprehensive financial guide on employee costs in comparison to sales. You can view these by Location, Date Range and Employee. This report will display a range of dates of your choosing and will display whether employees have dates in which they have approved leave or are unavailable. A complete profile will ensure that there will be efficient communication between employees and management. To view your profile, log in to Deputy. Now click your name in the top right corner and in the drop down box that appears, click ‘My Profile’. Your profile will ‘pop-out’ of the right side of the screen. From here, you will see your name, date of birth, contact details, unavailability, leave and leave requests, and recent timesheets. 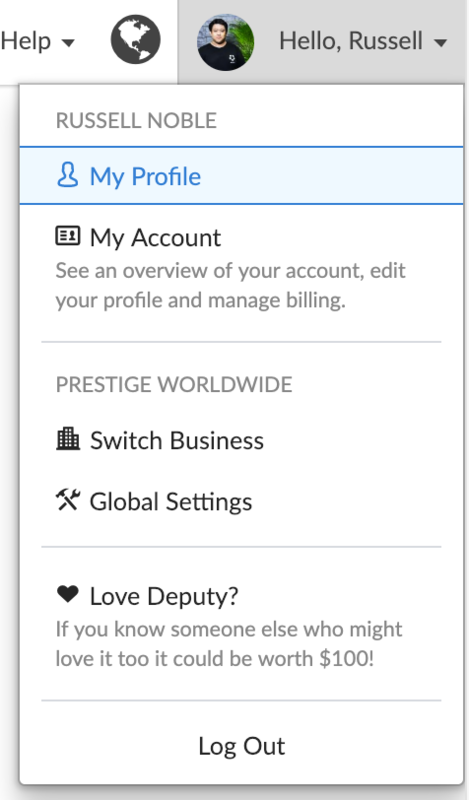 To edit your profile, simply click ‘Edit My Global Profile’ from the top of the profile page. The notification icon will alert employees, sending them reminders around important times, usually moments before the scheduled clock-in and out time, to ensure that they’ve started and stopped their shifts at the correct times. As a manager, you will also see when Leave Requests are submitted to the system.